Jim Daly paints the sweetness of childhood memories. Here Daly captures those faithful friends of childhood - those delightful and reliable companions of youthful outings. 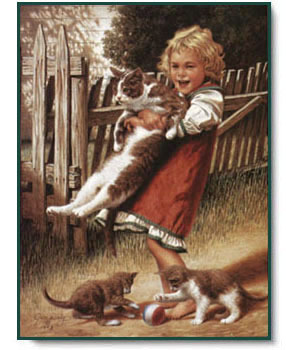 Childhood Friends copyright © 1993 by Jim Daly.